Hi and welcome to a new post on the Gaming on AmigaOS 4 blog! This is a bit special post for me, since it is the first one I write on my new AmigaOne 500 computer from Acube Systems. So, no more emulating AmigaOS 4 for a while, now I’m running it on a dedicated system instead! Emulation is good for getting a sense of the OS and its possibilities, but it is a completely different experience to use it on a computer that was made for it. Today I’d like to write about one of my all-time favorite games, namely Monkey Island 3. How does it fare on AmigaOS 4? Getting COMI to run on AmigaOS 4 is quite straight-forward. Make a directory in your ScummVM folder called “Monkey3” or something similar. COMI comes on two CD-s. Copy the contents of these into the directory mentioned above. Launch ScummVM and add the game by selecting the folder containing the files. ScummVM can be downloaded from OS4Depot or by clicking here. COMI is not abandonware (as far as I know), so you’ll need the original to play the game. As most of you know, Monkey Island 3 is a point-and-click adventure game from LucasArts. You’re playing as Guybrush Threepwood, a mighty pirate (at least he thinks he is), who must find a way to save the love of his life, Elaine. She was turned into a gold statue after Guybrush gave her a cursed engagement ring. The story goes on from there and on the way you’ll encounter the most crazy, funny and interesting characters you can ever imagine. If you haven’t played the game before, then you’re truly in for a laugh and some chuckles. The game is easy to get into with excellent controls, but some of the puzzles can be a bit tricky to solve. There are two game-modes, easy and hard, so pick the one you’d be most comfortable with. 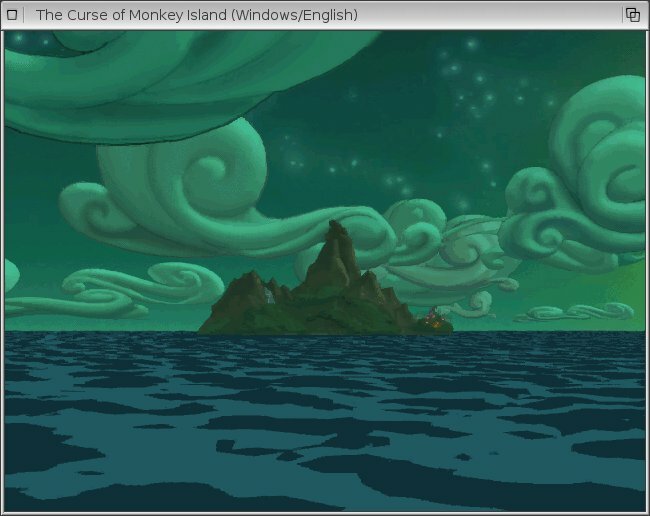 I’ve played Monkey Island 3 on several PC-s and was curious to see how it ran on AmigaOS 4. I was not disappointed, the game works perfectly in all ways! Nice but not a single word about where to buy the Curse of Monkey Island and support the developers?? Hi there! I got my original many years ago, so haven’t looked around much. Do you know where you can buy it outside of eBay? 🙂 Thanks in advance. Cool! Did you play the special edition of MI or the original one? I played the Special Edition, but played it mostly in old school graphics. Occasionally switching between the two. I didn’t realise there was a help function, so resorted to guides….